As communications technicians, our scope of serving others reaches those who call or come to the police station seeking some type of law enforcement assistance. Unlike our police officers, who respond to the needs of the public each day in various ways, our position is stationary, and limited. In an effort to further our reach, and make a greater difference, the idea of donating to a charity each month was proposed. As a motivating factor, Chief Taylor allowed the communications technicians to wear blue jeans on the weekends providing a donation of $3.00 per day, per person. The idea took hold, and has been very popular. This began three years ago, and to date we have raised more than $3,000. Technicians take turns each month choosing a charity and typically more than $100 is raised per month. In December we donate toys to the local toy drive, and January is free month. Recently, we found ourselves the recipients of goodwill. We often receive calls about stray dogs, and when our officers are successful in corralling them, they bring them to the safety of our kennel. If the dog has no identification tags, the Fairfield County dog warden is contacted and takes custody of the dog. Because more and more dog owners are opting for identification chips implanted under their dog’s skin, an agency possessing a chip reader can quickly reunite a dog with its owner. To this end, one of the technicians reached out to Diley Animal Hospital to inquire about the type of chip reader they use. The idea was to use one month’s worth of donations to purchase our own. Much to our surprise, and delight, the hospital offered to purchase and donate a chip reader to the police department! The Diley Hill Animal Emergency Center Manager Lovette Aquiano and Luis Aquiano, a registered vet technician, delivered the Universal World Scan Reader to our office for use in the hopes of reuniting more lost dogs with their owners. We would really like to say thanks to the staff at Diley Hill Animal Emergency Center. Several dogs have already been reunited with their owners as a result of this generous donation. Why do we collect city income tax? To provide support for City programs and services including (but not limited to), 24-hour police protection, annual street resurfacing and other major roadway improvements, snow removal, park programs and facilities, the Pickerington-Violet Historical Society and the Senior Center. What is the City of Pickerington’s tax rate? The tax rate is 1 percent, one of the lowest in central Ohio. Does Pickerington give credit for taxes paid to another city?Yes, Pickerington gives a partial credit for taxes paid to another city. The credit is up to one-half of one percent (.005) of the wages taxed. Why does Pickerington tax my Medicare or local wage instead of my federal wage on my W-2? Pickerington taxes all earned income. Your federal wage excludes wages or salary that has been deferred, such as a 401(k) or other retirement plans. Pickerington taxes this wage when it is earned. However, once you retire and begin to draw money from your 401(k) or retirement plan, Pickerington does NOT tax this money, as we have taxed it when it was originally earned. I live in Pickerington but work in Columbus. Do I get a refund? No. If you work in another city that taxes your local wages, you will receive one-half of one percent (.005) credit against those wages on your Pickerington return. Your taxes are paid first to the city in which you work. Your residence city does not receive any of those taxes; therefore cannot refund it. I work in Pickerington but live in another city. Do I get a refund? No. Taxes are paid first to the city in which you work. Even though you are not a resident of Pickerington, you benefit from the police and emergency services, snow removal and street maintenance which are funded by these municipal taxes. Your residence city may give you a credit for the taxes you paid to Pickerington. Who is required to file a Pickerington tax return? All Pickerington residents 18 years of age or older are required to file returns annually. Non-residents are required to file only when they earn income within the City of Pickerington, which is not fully withheld upon, or have a business or rental property in the City. Every business located in the City or performing services in the City is required to file annual returns. All returns are required regardless of the amount of income received or losses incurred. I am under 18 and my employer withheld tax. Do I need to file a return? If you are under 18, your employer is not required to withhold taxes for you. If your employer withheld Pickerington tax, you may file for a refund using the refund claim form. I am retired. Do I have to pay taxes? Social security income and pension income are not taxable by Pickerington; however, as a resident of Pickerington, you are still required to file a return. If you are retired, but receive other types of income such as part-time wages or rental income, you are required to file a return and pay tax on that income. 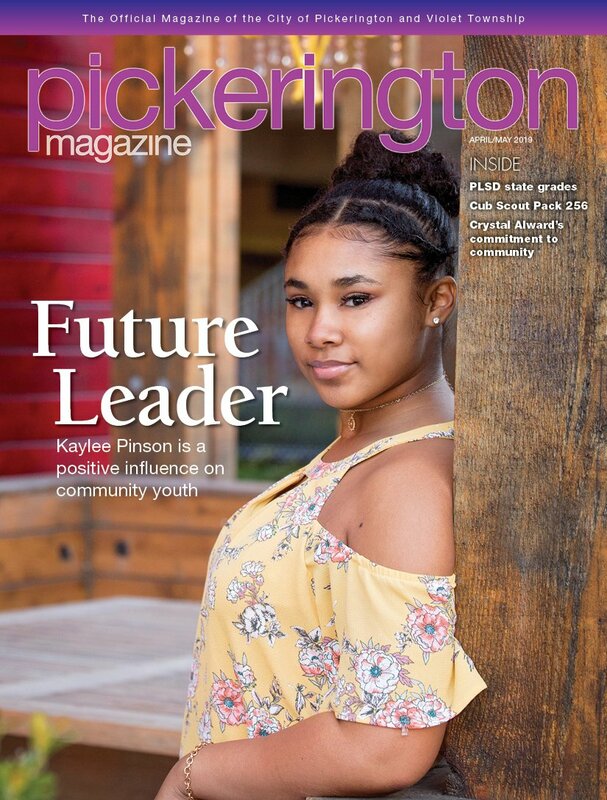 I am a college student and live away from Pickerington while attending school. Do I have to file a return? Yes. If you maintain Pickerington as your permanent legal residence, you are required to file a return even though much of your time may be spent out of the City. Any income that you earn is taxable to Pickerington regardless of where it is earned. I only lived in Pickerington for part of the year. What do I have to do? You are required to file a Pickerington tax return for any portion of the year that you were a resident. Taxable income will be based on the income that you earned. (Unless the income was earned within the City of Pickerington, in which case it is fully taxable). Can I electronically file my return? Only if you have W-2 income, then you can electronically file your Pickerington tax. If you have a schedule C, schedule E or schedule K or K-1 on your federal income tax return, you may not e-file at this time and must mail your return to the City. Can you assist me in preparing my Pickerington tax return? We would be happy to assist you. You may visit our office without an appointment Monday – Friday between 8 a.m. and 5 p.m. You are welcome to drop off your documentation and pick it up from us after the return is completed. Please note, if you stop by in April, your wait will be longer due to the high volume of taxpayers we assist. What documents do I need to attach to my return? Documentation is required to support all income, credits, and adjustments shown on your City return. Examples of necessary forms, if applicable: W-2s (showing federal, Medicare and local wage amounts, and amount of local tax withheld for all cities); 1099s, federal schedules C, E, K or K-1; form 2106 and schedule A; federal form 1065, 1120 or 1120-S and supporting schedules; documentation to support part-year residency. What are the most common mistakes that taxpayers make when filing returns? By far, the biggest mistake is not attaching W-2s to your return or attaching the wrong W-2. If you are claiming a credit for taxes paid to another city, you must provide the copy of your W-2, which names the city to which taxes were paid. If you are claiming credit for Pickerington tax withheld, you must provide the copy of the W-2 that shows Pickerington City in box 20. Please note that Pickerington SD, Pick 2307 or any variation including the numbers 2307 are not Pickerington City taxes. I want to file a return for my Pickerington Local School District income tax. Do I include this information with my City return? No. The City of Pickerington does not administer income tax for Pickerington Local School District. This tax is administered by and must be filed with the Ohio Department of Taxation. Please call 1-800-282-1780 or visit the Ohio Department of Taxation for questions regarding school district tax. The federal extension can be applied to your city taxes but you need to provide a copy. Late Filing Fee: $25/month up to $150. This fee will be charged even if no tax is owed on your return. Pickerington is a mandatory file city, and all residents over the age of 18 must file a tax return by April 15, 2019, or Oct. 15 if an extension is granted. Underpayment penalty: 15 percent of balance owed. If you have any further questions about your city income taxes, please visit www.pickerington.net and click Income Tax Department or call 614-837-4116. Feb 25: New gardeners may begin to register. Online registration opens.